This is just awful. A deranged young man in a mass shooting with apparent racial motivations. There are unfortunately many deranged people in any society, and we certainly have our fair share these days. From deranged mass shooters the past couple of years to deranged media and political mouthpieces, think Al Sharpton any week or Jeffrey Thaler this week. We will certainly hear from Sharpton as he takes advantage of this terrible situation. And, the gun control crazies will jump on the opportunity as well. 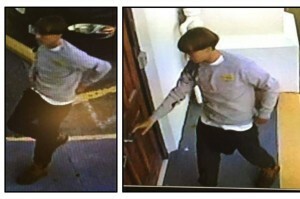 Dylan Roof alledgedly entered an historic black church in Charleston SC last night and shot 9 people. Awful at any time, but particularly now when we are trying to separate the truth from fiction in the race debate. When we are trying to have an “honest dialogue” about race. Now, we can expect to see the race baiters like Sharpton and the liberal media who will take this awful event away from an honest dialogue and incite protest, riot and violence. Instead lets examine the facts, eliminate arguments and demonization in our public debates, pray for the families and recognize these are the deranged few who do these things. Not every white person is a deranged racist killer. Not every black person is angry, violent and entitled either. Both are extreme minorities. We know these things, don’t we? This man does.